Watching our pets grow old is a painful part of life. Seeing them in pain can sometimes be harder on us than it is on them (at least we owners think so). To optimize the health of your aging dog and extend their years as far as possible, incorporate as many of the following herbs and remedies into their diet as possible. 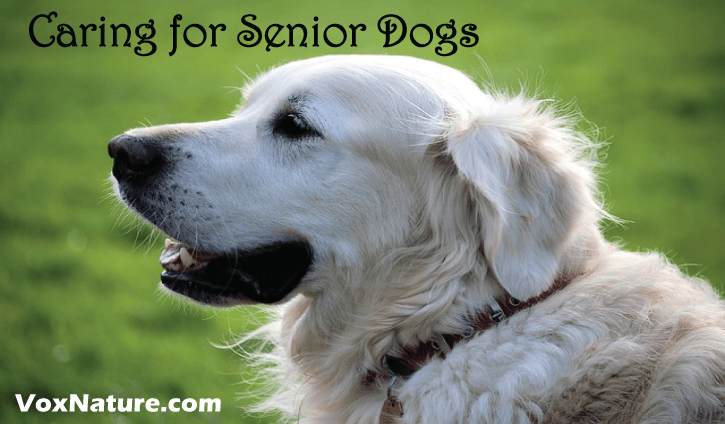 Below are herbs and natural supplements for senior dogs. Reishi Mushrooms help to support the immune system and the liver, two crucial aspects when treating an aging dog. It is also full of antioxidants, which can help prevent cancer. Especially important for aging pets, Reishi Mushroom has been shown to help improve cognitive function. In addition, the mushrooms has been linked to calming nerves, providing overall organ support, and treating allergies in dogs. Astragalus has been used for hundreds of years as a general body tonic to support the immune system. It may also be used to treat diarrhea, lack of appetite, or a general lack of energy. It can also help your elderly pup cope with stress. 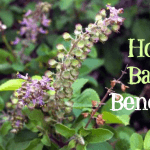 By stimulating killer-cell activity in the body, this herb also helps support the respiratory tract and the heart, as well as protect the body from viruses. If you can’t find astragalus, a similar herb is echinacea. Gingko Biloba focuses on the nervous system and helps to improve long- and short-term memory in dogs. Its ability to increase peripheral and cerebral blood flow helps to improve their overall brain function. In addition, it can help improve blood flow to the retina, which may help improve the fading eyesight of your dog. Alfalfa is rich in vitamins and minerals essential to a dog’s overall health, including Vitamins C, D, E, and K as well as calcium and magnesium. It is rich in enzymes that help the digestive system operate smoothly. Because it supports collagen and connective tissue, it has also been used to treat arthritis and joint pain, which is a common ailment of older dogs. 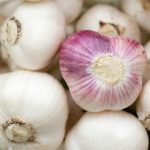 It is also believed to help prevent and fight cancer. You can make a tea out of parsley or dandelion leaves and add it to your dog’s water. Both leaves help strengthen the mucus membranes of the urinary tract, making them powerful diuretics and liver stimulants. Dandelion also provides a plethora of vitamins and minerals in a gentle way that will not overwhelm the liver or kidneys. Liver function – to keep liver function healthy, incorporate parsley, dandelion leaf, or burdock root. Milk thistle also enhances the liver. Cardiac support – Hawthorn and turmeric (if your pup can stand the taste) are great for heart health. Hawthorn is especially useful in improving blood flow, preventing heart failure, and reducing atherosclerosis. Dandelion root and olives also provide support for the heart, improving circulation and treating high blood pressure. Cognitive health – Gingko and nettle both help support your dog’s brain. For additional support, try to incorporate Vitamins C and E, along with plenty of fruits and vegetables. Joint pain– In addition to alfalfa, incorporate Vitamins B3, B6, magnesium, manganese, and zinc to support bone health. Omega-3 fats may also support bone health and can easily be added into the diet. Burdock root has also been suggested to help with joint pain. Antioxidants– Bilberry and turmeric help to eliminate free radicals in the body. 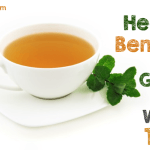 Green tea also has anti-cancerous properties. Hawthorn is another antioxidant, in additions to its cardiac benefits. For overall pet health, try to eliminate foods that contain preservatives, pesticides, and artificial flavors from their diet. This alone will prevent and alleviate many of the symptoms that older dogs suffer from. Try to incorporate as many herbs and antioxidants into your dog’s diet throughout their lifetime. As with humans, it is also important that dogs, especially elderly dogs, maintain a healthy weight and still get exercise. Hi, thank you so much for your sharing. It’s really useful for me. You were right. Seeing our dog get older is very painful. My 8-year-old dog is more than a friend. He has been with me through a lot of memories. And now, he looks like an old person in my house. He doesn’t run anymore. I will try your tips and hope that my dog will get better soon. Thank you!